A visitor from Argentina ! A couple weeks ago we had a special visit from Argentina. Baltazar Bugeau, a post grad working for the Fundación Miguel Lillo, is interested in fish ecology and is focusing on the “dorado” in the Juramento River in Argentina. Baltzar has been dreaming of South Africa since he was a young kid and was particularly keen to try and catch on of our famous Tigerfish ! 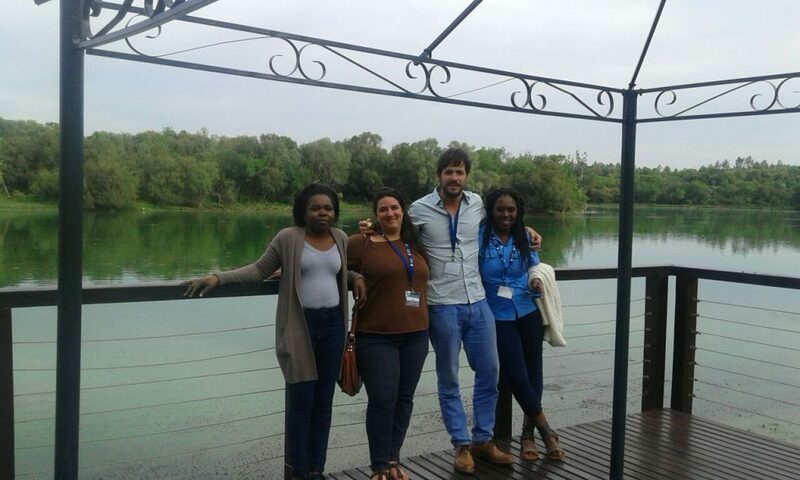 Baltzar joined the team on the field in the framework of the River Health Project and Céline’s eel project. 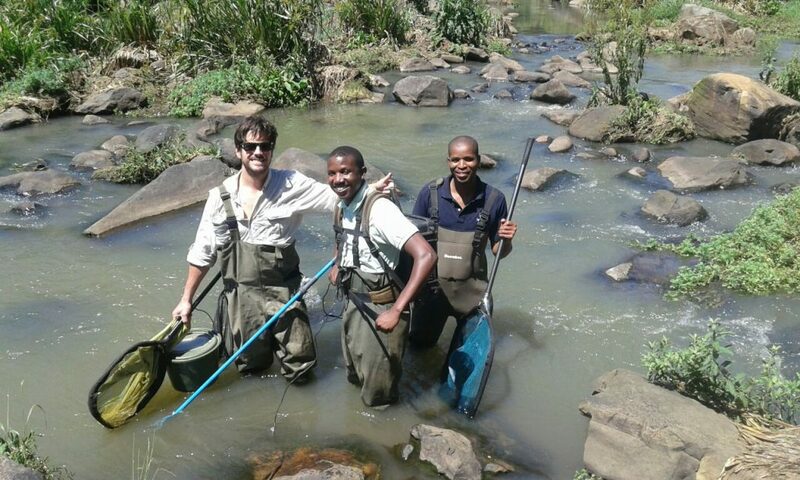 He joined us for sampling in the WESSA-Umgeni Valley. The access to the site (Fish Jump Fall) is quite an adventure and Baltzar had good fun ! Unfortunately, the survey was not that successfull. We then headed to Fountainhill Estate where we caught some nice yellowfish. 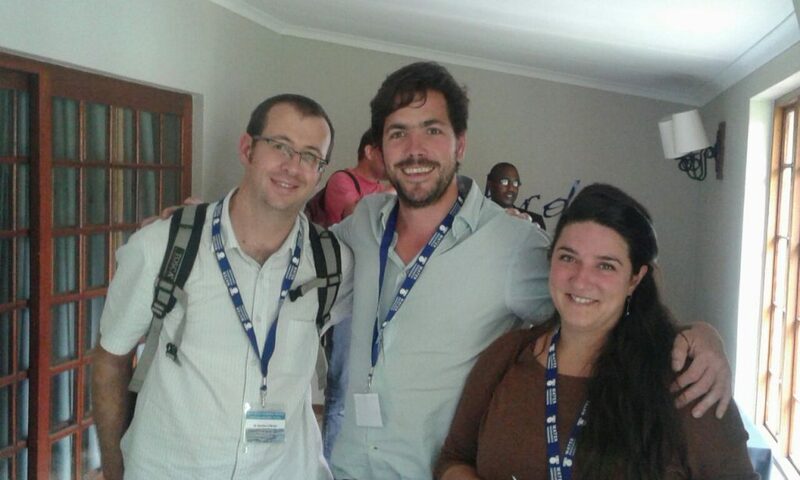 Baltzar was lucky enough to be among us during the South African Swimway Workshop which has been held in Pretoria to celebrate the World Fisheries Day on the 21st November. He gave us a nice presentation about his study river and his dorado ! 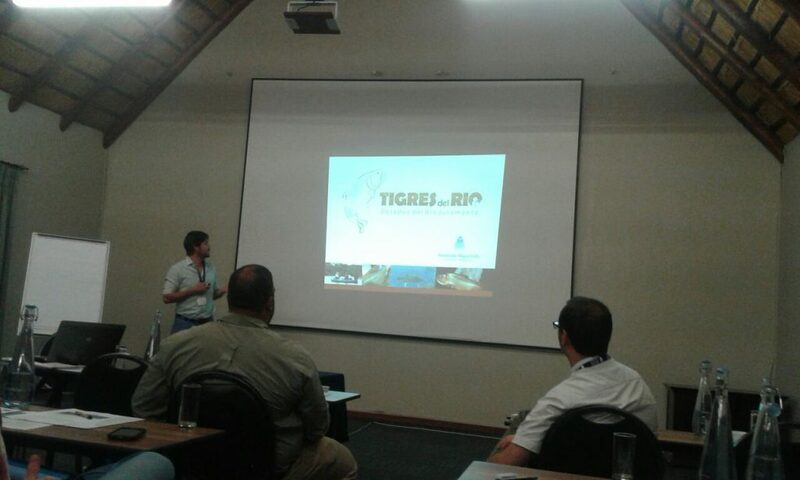 He showed us impressive pictures of this “river tiger” (Tigres Del Rio)… there was a lot of “oooh” “waaaaw” and “aaah” in the room during his presentation !